The Uttarakhand state is suffering from Heavy Rain falls every day. The Garhwal Region of Uttarakhand state has suffering from Heavy rain falls and flooded water of rivers. The Hill area of Uttarakhand is now not becomes safe, due to heavy rain falls at night and day. Last night heavy rain falls in Uttarkashi districts and around the villages, the peoples are very afraid for their security and their families. All the people are leave their homes, houses and birth places due to risk of flooded water. Sridev Suman Uttarakhand University has conducting the B.Ed (Bachelor of Education) in this year, and there are so many of the students are also applied for this entrance test. The University has declared the date of the B.Ed entrance test on the 11th August 2013. So As of now all the candidates may also get their admit card from online, I mean they can downloads their admit card for the B.Ed Entrance test 2013. The Sridev Suman University is a new university of Uttarakhand and with some of the collages the university is started the B.Ed education from the current year. Sridev Suman University is a newly university of Uttarakhand state, start from last year and the university was conducted the BA, B.Com, MA, M.Com, 1st Year examination by Private Studies. The Headquarter of the University is situated in Badsahithol Tehri Garhwal, Uttarakhand. The Examinations for given courses was held on May to June months 2013. And then all the students are still waiting for their results. So as of now the University has declared the Results of B.Com 1st year private. And other results will be declared soon. 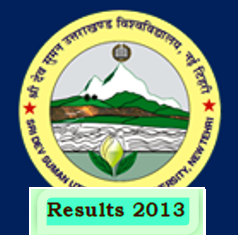 Uttarakhand Open University is now declared the main examination dates for session 2013. Every year the Uttarakhand Open University provides approx. 50 courses. And there are so many of the students are appeared in various courses. Because those person who have not more time for study, so they can easily appeared in various courses by the open universities. And they can also study their centers for one in a week or as per their free time. So as of now the Uttarakhand Open University has declared the date sheet of the Yearly main examinations. The examination becomes late due to heavy rain fall, flood and by disaster in Uttarakhand. State Bank of India is a govt. undertaking bank in India. And it is also a largest bank service in India. So as of now State bank of India has declared the results of Probationary officers recruitment 2013. Every year bank recruits new candidates in different posts. This year Bank the recruitment of PO written examination was held on 28 April 2013. And this year also so many of the candidates have applied for the bank recruitment of Probationary officers. So now the bank declared the final results of selected candidates, who can easily check their results online. Hemwanti Nandan Bahuguna Garhwal University Srinagar Garhwal has declared the results of MA (Master of Arts) 2nd year Sanskrit Stream 2013. Every year there is so many courses are provided by university like UG courses and PG courses in different streams. So as of now University has declared many of the courses results online. And also many students are waiting for their results, because for their higher studies. So now MA 2nd Year Sanskrit Stream students can easily check their results online. Hemwanti Nandan Bahuguna Garhwal Central University has declared the results of BA (Bachelor of Arts) 1st year Regular studies. There are so many students are appeared in this exams every year. And I think all the 1st year students are waiting for their results but as of now their wait is over because Garhwal university has declared the results of BA 1st year. So now all the BA 1st year students may check their results online. Hemwanti Nandan Bahuguna Garhwal University is a central university of Uttarakhand. The Headquarter of the Garhwal University is situated in the Srinagar Garhwal, in Pauri District of Uttarakhand state. The Mostly collages in the Garhwal region of Uttarakhand state has affiliated by the HNB Garhwal University. There are many of the courses are provided by the Garhwal University. As of now University has declared the results of graduations and post- graduations courses. So now university has declared the results of BA 2nd Year of the session 2012-13. An ITI Entrance exam is organized by Uttarakhand Board of Technical education Roorkee. 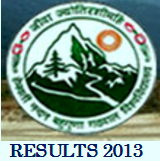 And this year the ITI Entrance exam was held on 28th July 2013 in the 65 centers in Uttarakhand. 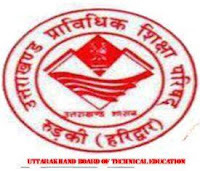 There are so many of the candidates was given the ITI entrance exams and waiting for their results, So as of now the Uttarakhand board of Technical education Roorkee has declared the results or rank card of ITI entrance exams and now all the candidates can check their results or rank card online.